With spring in the air and the sound of bird song it is hard to comprehend the tragedy that occurred near the grounds of St Marks Church in the Hampshire village of Ampfield. On Sunday 2 July 1944 a Cessna UC-78 Bobcat, serialled 43-7538 of HQ 84th Fighter Wing (at the time based at Station 408 Beaulieu) USAAF 9th Air Force was on a flight from Carentan in France to RAF Chilbolton (USAAF Station 404). 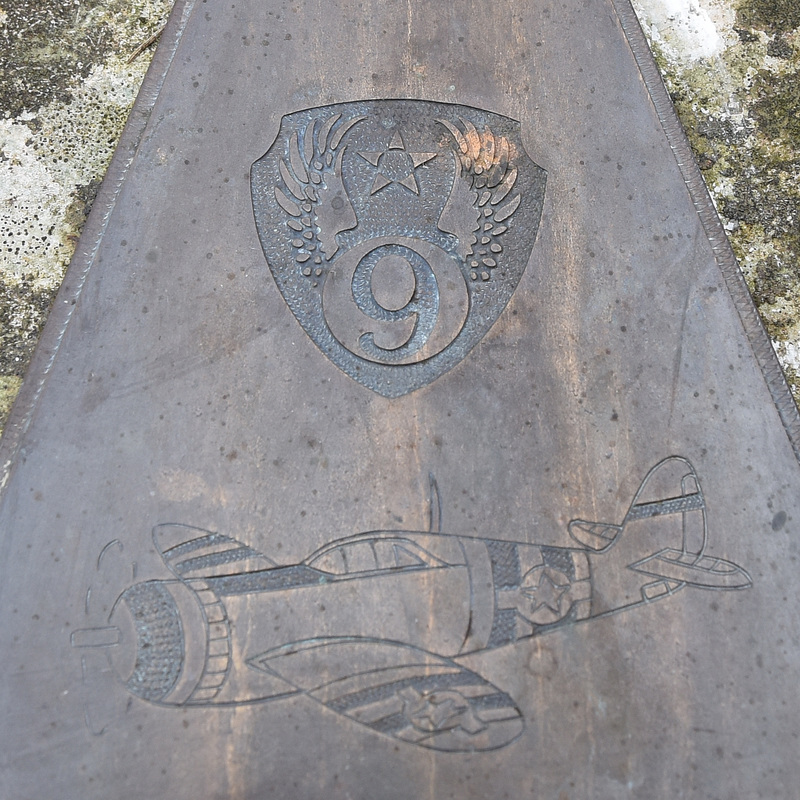 The fighter pilots were all part of the 50th Fighter Group who had before D-Day been based at RAF Lymington (USAAF Station 551). The 81st & 313th flew Republic P-47 Thunderbolts and were over the beaches on D-Day before arriving on base at Carentan by 25 June 1944. After a period of operations some of the fighter pilots were due leave and it was on 2 July they found themselves onboard the Bobcat on a flight back to England. It can be imagined the sense of relaxation that would have been prevailing on the aircraft as it passed over the Hampshire countryside almost at its destination. The thoughts of home and families would have been utmost in their minds having survived the perils of D-Day but fate has a nasty way of playing its hand. As the flight progressed a structural failure in the starboard wing resulted in the aircraft falling from the sky to crash in the woods near St Marks Church, none of those onboard survived. On 2 July 1998 a memorial was dedicated near the crash site and today the area is a haven of calm in what all those years ago, would have been a scene of tragedy. My thanks go to Steve Edwards for giving me directions to the memorial.